If you would like to be placed on the wait list, please sign up here. Visit the Outstanding in the Field website to register and purchase tickets today. 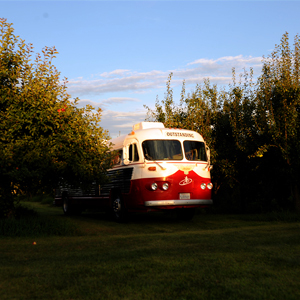 On Saturday, September 15, the Outstanding in the Field bus will be arriving in the Berkshires at Indian Line Farm in South Egremont, the birthplace of the first CSA (Community Supported Agriculture) farm in North America. Chef Brian Alberg and his crew from The Red Lion Inn in Stockbridge will be manning the field kitchen and presenting a five-course meal to 130 to 150 guests. This nationally recognized event presents an opportunity for the Berkshires to make known its historical roots in agriculture and to promote the food culture of the region, especially the strong ties between farmers and chefs and the collaborative practice of farm-to-table values in the region. 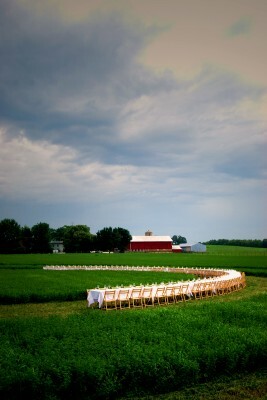 The dinner on Saturday, September 15 will begin at 3 p.m. with passed hors d’oeuvres at the initial greeting area followed by opening remarks and a farm tour around 4 p.m. 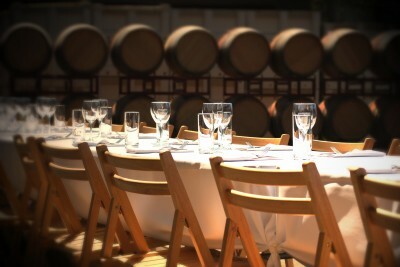 Seating for the four-course, family-style dinner (including dessert) will begin at 4:45 p.m. 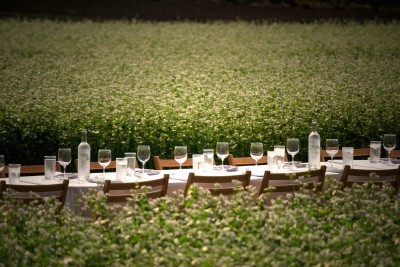 The price for the dinner is $220 per person. Tickets go on sale on March 20, the first day of spring. 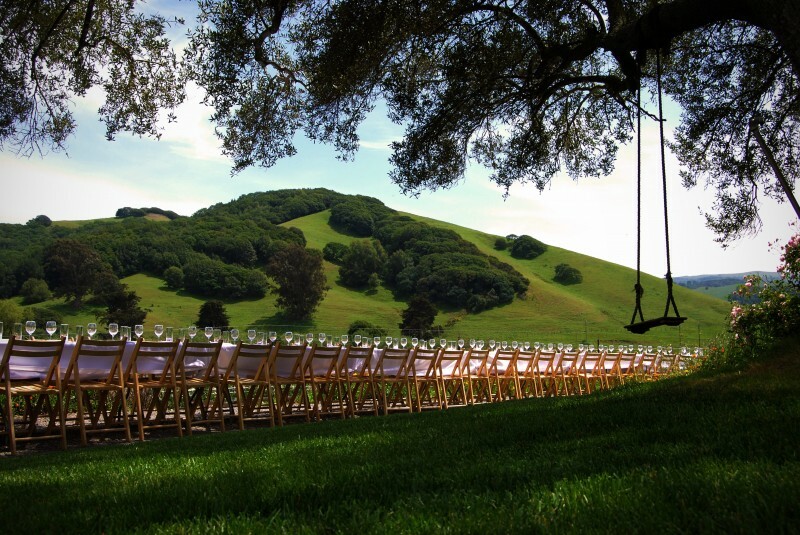 For more information about the event, visit the OITF website. 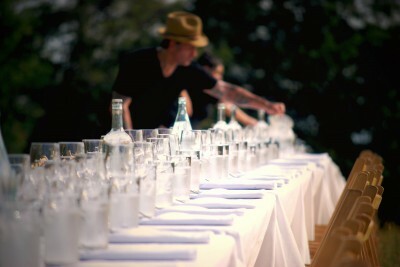 To receive information leading up to the event, join the OITF mailing list at www.outstandinginthefield.com. Beginning at noon on Saturday, September 15, a team from The Red Lion Inn and Berkshire Farm & Table will be streaming live behind-the-scenes coverage, offering a backstage pass to this celebrated event. Media coverage will include blog posts, YouTube, Facebook and Twitter updates for up-to-the-minute storytelling as it takes place on-site from the farm. 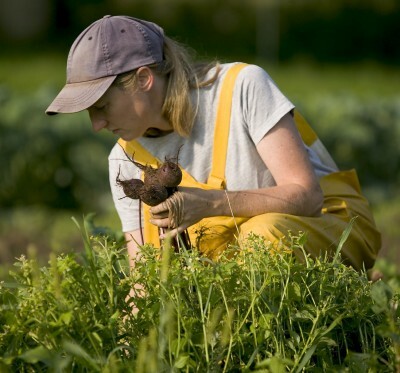 Indian Line Farm, a 17-acre farm in South Egremont, Mass., is known as one of the first Community Supported Agriculture (CSA) farms in the United States, and was established in 1985 by Robyn Van En, Jan Vander Tuin and a coalition of local citizens. Indian Line Farm is located along a strip of land once known as the “Indian Line.” The farm was originally deeded to the Housatunnuck Nation in 1736 as part of a larger corridor between the Housatonic and Hudson Rivers. Later the tribe sold the land for 460 British pounds. For much of the 1900s, the farm was an active 125-acre dairy farm. Farmers Elizabeth Keen and Al Thorp have been growing at Indian Line Farm since 1997. Primarily, they grow food for members who purchase shares in a CSA (Community Supported Agriculture) and provide an abundant supply of vegetables, fruits, herbs and cutting flowers from June to November. 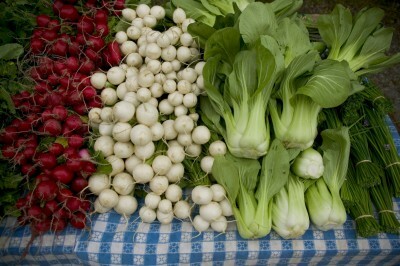 In addition, they sell produce at the Great Barrington Farmers Market and to nearby restaurants and stores. 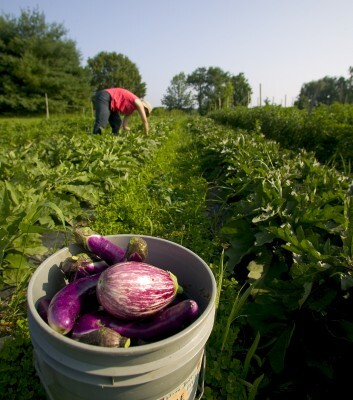 The farmers at Indian Line Farm believe in growing healthy food for their family and customers. Their produce is Certified Naturally Grown through a nonprofit alternative eco-labeling program for small farms that grow using USDA Organic methods but are not part of the USDA Certified Organic program. They consider themselves lifelong students of agriculture and strive continuously to further their knowledge and implement good growing and land steward practices. Indian Line Farm is located at 57 Jug End Road in South Egremont, Mass. 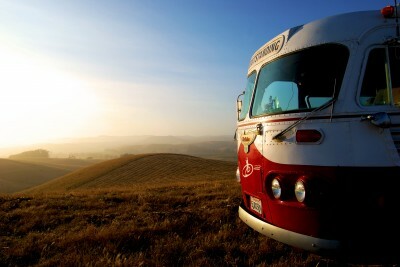 For more information about the farm, visit www.indianlinefarm.com or call 413.528.8301. 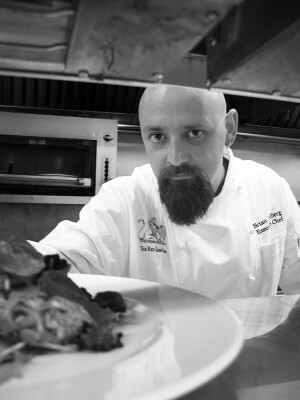 Brian J. Alberg, Executive Chef and Food & Beverage Director at The Red Lion Inn in Stockbridge, has been instrumental in galvanizing a Berkshire culinary movement – as a chef supporting local farms, as a farmer raising his own heritage breed pigs at his Bacon on the Side Farm, as a mentor for youth interested in culinary arts and as President of Berkshire Grown’s Board of Trustees. Alberg is a native of Copake, N.Y., in the Berkshire foothills of neighboring Columbia County, where he began his culinary career as an apprentice at the former l’Hostelierre Bressane. After graduating from the Culinary Institute of America in Hyde Park, N.Y. in 1987, he oversaw the kitchens in a number of high-profile Berkshire area restaurants earlier in his career, first as head chef at the Underhill Inn in Hillsdale, N.Y., and later at the 1780 Egremont Inn in South Egremont and the Old Inn on the Green in New Marlborough, both located in Mass. He left the area in 1993 to become Executive Chef at Dudley’s Restaurant in Westchester, N.Y., where he earned a “Very Good” rating from the New York Times and made his first appearance at the James Beard House. Alberg went on to work as executive chef and later director of food and beverage at the Old Saybrook Inn & Spa, a AAA Four-Diamond property, where he was honored for the first time at the James Beard Foundation. Alberg then moved into the corporate world with Marriott where he helped open a number of hotels as well as create a Mediterranean Menu with recipes and training information that was distributed to Marriott and Renaissance Hotels across the globe. 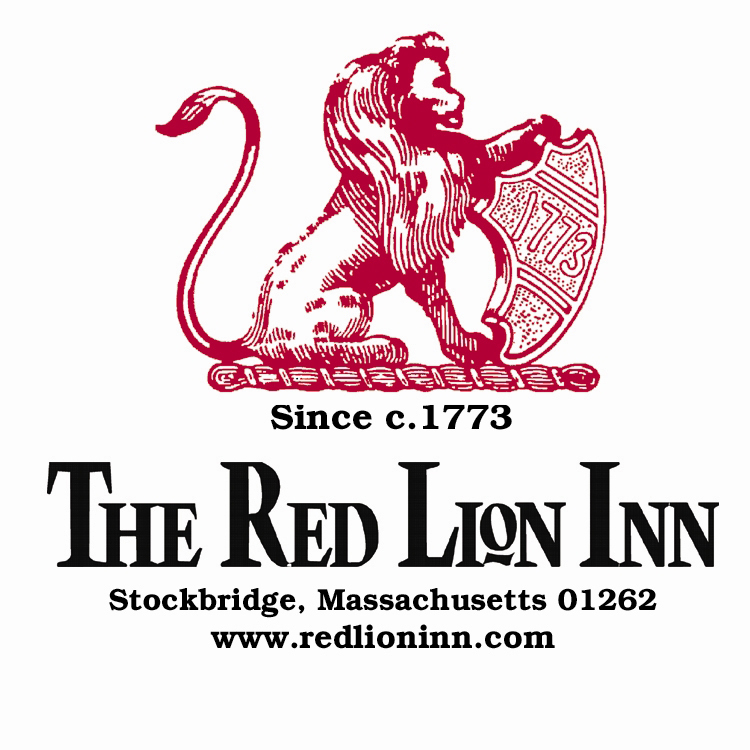 Alberg began his tenure at The Red Lion Inn in July of 2004. He is a member of the James Beard Foundation and is President of the Board of Directors of Berkshire Grown, an organization dedicated to promoting the support of local farming and strengthening the relationships between local farmers and restaurants. He also serves on the board of the Railroad Street Youth Project, which provides young people with the opportunity to explore the culinary arts alongside a professional chef. Alberg has appeared on Good Morning America, Chronicle, NECN’s TV Diner with Billy Costa, Albany (N.Y.) News Channel 13 and WGBY’s On the Menu! (Springfield, Mass. ), and in The Boston Globe, Hudson Valley Magazine and Gastronomica. Alberg resides in Kinderhook, N.Y.
Berkshire Farm & Table is a nonprofit 501(c)(3) organization whose mission is to cultivate regional economic development through the advancement of food culture in the Berkshires. 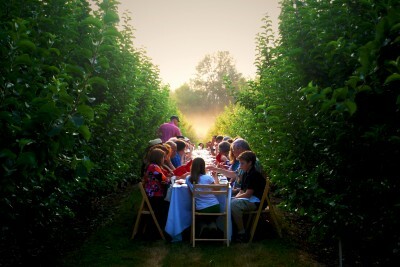 Through building relationships, producing events and fostering dialogue, they bring the unique stories and expertise of Berkshires’ culinary artisans, farming values and agrotourism experiences to the forefront of the national food movement. For more information, visit berkshirefarmandtable.org. Please contact Angela Cardinali at <angela@angelacardinali.com> or 413.458.9053 regarding all media inquiries for this event<stephanie.gravalese@redlioninn.com> or 413.528.1658. For press inquiries for Outstanding in the Field, please contact Lisa Supple at <lisasupple@yahoo.com>. Press photos can be downloaded from this link with permission from Outstanding in the Field. Please credit all image use to photographer Jeremy Fenske.